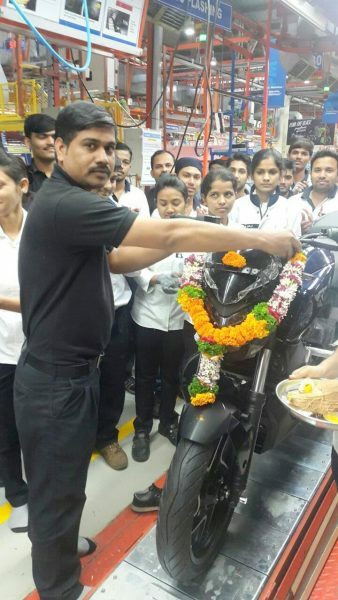 Popularly knows as the Bajaj Kratos 400, Bajaj has finally started production of their new 400cc motorcycle. 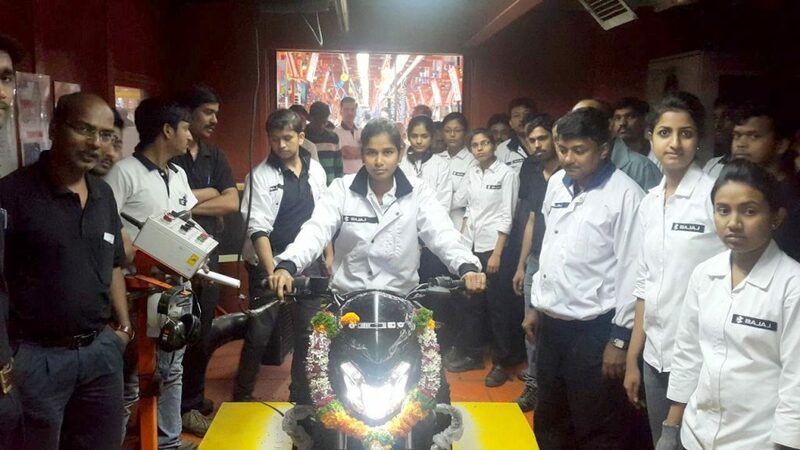 This 400cc motorcycle was showcased to us at the auto expo with the name Bajaj CS400. Great looks of this motorcycle and a 400cc engine badge upped the excitement of motorcycle enthusiasts. Bajaj had told us that the new 400cc bike will not come under the iconic Pulsar badge, but will get a different name. The new big bike model, which is scheduled to be launched around mid-December 2016, is also expected to dominate Indian roads in this segment for the coming decade. Hence, the conclusion of the name Dominar 400. 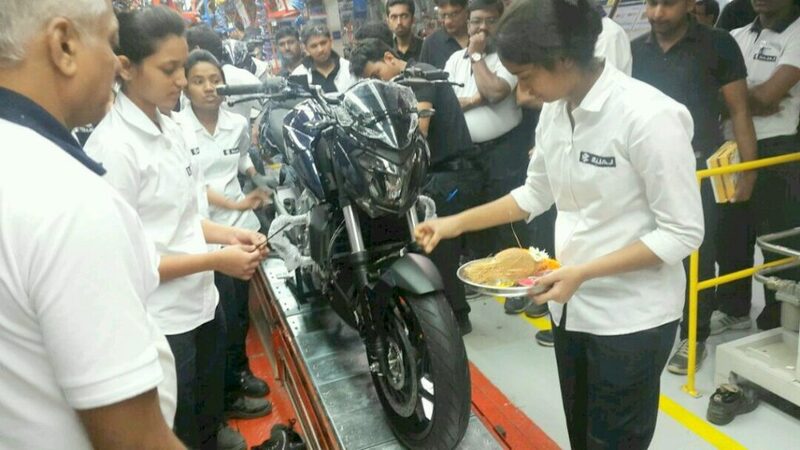 Bajaj has rolled out the first batch of the Dominar 400 and it’s a special thing not only because of the production starting, but also because it came out of the assembly line managed only by women engineers. We are proud to announce this historic roll out at Chakan today with our all women assembly line. 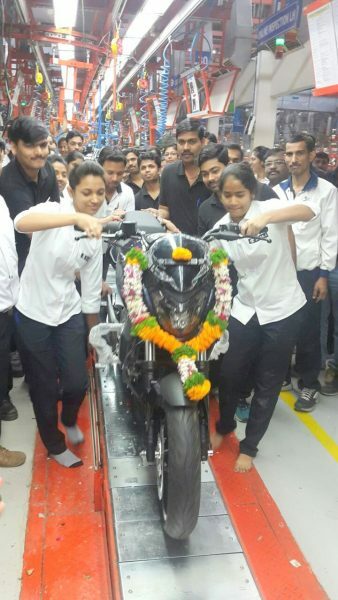 Our new bike will set new benchmarks in its segment. There is already a lot of buzz, anticipation and excitement about the bike and its features, price and name. However, all our patrons and bike enthusiasts will have to wait for some time, till we share details of the new offering. Expected to be launched in mid-December this motorcycle will compete against the KTM Duke 390 and the Royal Enfield bikes. As mentioned above, Bajaj hasn’t revealed any details regarding the Dominar and we will have to wait until further updates. Also read: Bajaj Dominar (Kratos) 400 expected specs.